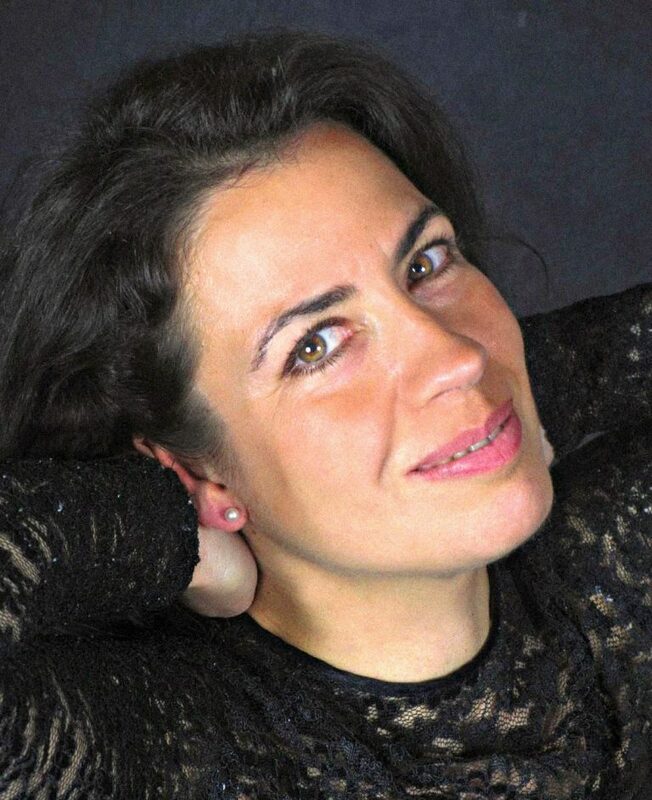 After graduating in both Violin and Chamber music from Villeurbanne’s National Music School, Mezzo-soprano Florence Recanzone joined the Conservatoire of Lyon (Conservatoire National Supérieur de Musique et de Danse) to start her opera singing career. Thereafter, she moved to Paris to perfect her technique and operatic interpretation with Maître Schuyler Hamilton and also Jeff Cohen, Irene Kudela, Ruben Lifschitz and David Zobel. In October 2006, she was invited to Leon, Spain, by Teresa Berganza to take part in Mozart Master Classes to enhance her operatic skills in Mozart’s concert arias. The same year she took part in “Celestial Voices” organised by the Royaumont Foundation, under the baton of Joel Suhubiette, to explore vocal and orchestral works of sacred music circa 1800. She was finalist in both the National Competition in Béziers, in the Opera and Comic Opera categories in 2006 and the International Competiton of Operetta and Drama in Marseille in 2007. Her operatic roles include: Cherubino (Le Nozze di Figaro); Dorabella (Cosi Fan Tutte), under Amaury Du Closel; Zerlina (Don Giovanni), under the baton of Jacques-Francois des Longchamps; the Israelite in J.B. Moreau’s Esther as part of the Chateau Thierry Festival, under Georges Willms and contemporary roles, such as The Fox in Yanacek’s The Cunning Little Vixen, under Errol Girdlestone, as part of the Alpes Cote d’Azur Festival. In Lyon, she performed The Child in Ravel’s “The Child” and the Spells and Marceline (Le Nozze de Figaro), directed by Jean Philippe Amy. In the Champs Elysees Theatre, Paris, she played the Florist in Le Nozze di Figaro, directed by Jean-Louis Matinotti and in La Salle Cortot she took on travesty roles from Mozart, directed by Jean-Michel Séréni. Florence Recanzone collaborated with Les Arts Florissants, under the baton of William Christie, recorded with Warner Classic and Erato, and performed in Handel’s Jeptha and Alcina, Zoroaster in Rameau’s Les Indes Galantes, Purcell’s The Indian Queen and in Desmarets’ Les Grands Motets Lorrains in the Palais Garnier, Paris, in Aix en Provence, in Beaune, in Edinburgh, in Jerusalem, as part of the Baroque Festival, in Bahrain, at the Brooklyn Academy of Music, New York and at the Tchaikowsky Concert Hall in Moscow, Russia. She was also invited to work with Leonardo Garcia Alarcon, Laurence Equilbey, Marc Minkowski, Jean-Claude Malgoire, Laurent Gendre and Jérémie Rhorer. As a recitalist, her repertoire extends from French Baroque to Modern music. She is particularly fond of Schumann’s Lieder and partsongs, especially Frauenliebe und Leben, Schubert, Grieg, Chopin and French songs. In collaboration with Jeff Cohen, she was invited to the International Festival of Sacred Music in Sylvanes Abbey in 2009 and the following year to The Polish Library in Paris to perform “The Imaginary Cycle of Frederic Chopin’s melodies”, written by Schuyler Hamilton, which she also performed with the pianist David Zobel in the International Festival of Sacred Music in Sylvanes Abbey in 2007. She also performed in various Parisian places, such as the Soubise Hotel, for companies like France Telecom, The Museum of Romantics for BNP PARIBAS and at the Espace Cardin “Chez Maxim’s”. She sang Berlioz’ Summer Nights as part of Paris Music festival and, on various occasions, in Jean Hélion’s Museum in Auvergne. In 2009, she sang extracts from Handel’s first oratorio The Triumph of the Time and Truth and various French Operas in Krakow Opera House under the baton of Jerzy Sobenko. Florence Recanzone also peformed various solos for Mezzo Soprano in Sacred Music with the Quatuor des Volcans in which she played the role of Missa Brevis from Telemann, the Confitbor Tibi Domine from Pergolesi in Saint-Genes-Les-Carmes Church in Clermont Ferrand, Handel’s Der Messiah in Arras under P. Reynaud, Mozart’s Requiem in Lyon and Couperin’s Lessons of Darkness in the Trinity Church, Paris. She performed live on ORF Vivaldi’s Le Gloria (RV 611) conducted by Paul Agnew, in collaboration with Les Arts Florissants in Vienna, Austria but also in Caen Theatre, France.